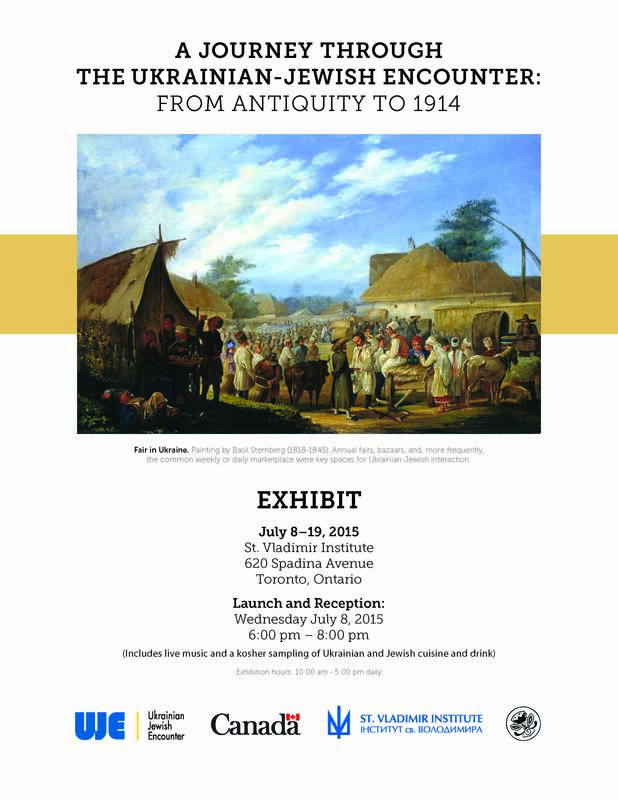 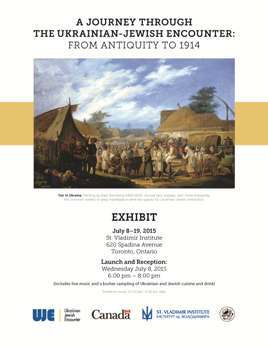 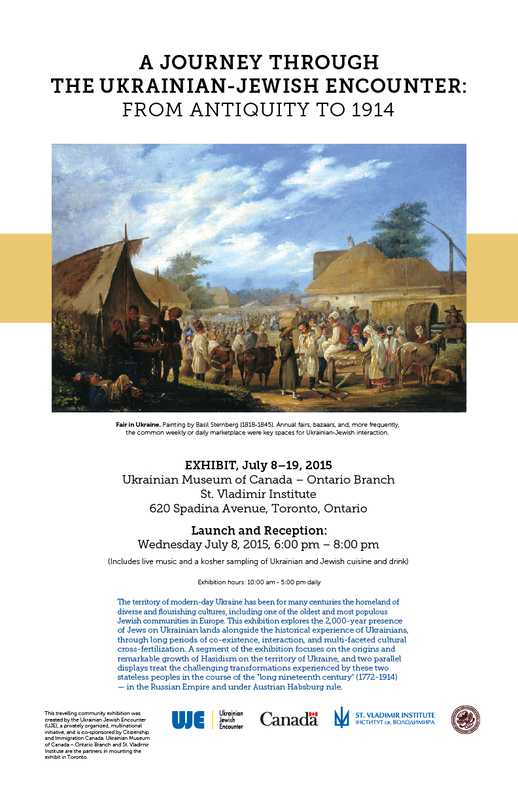 After a successful run in Winnipeg, UJE’s exhibition “A Journey through the Ukrainian-Jewish Encounter: From Antiquity to 1914” will return to Toronto on July 8, 2014. The show will be on display at St. Vladimir Institute until July 19, 2014. 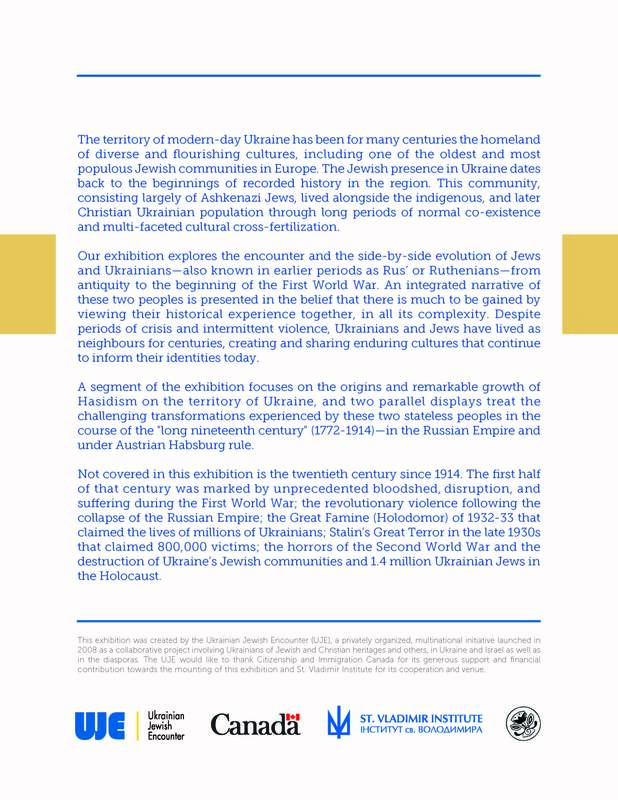 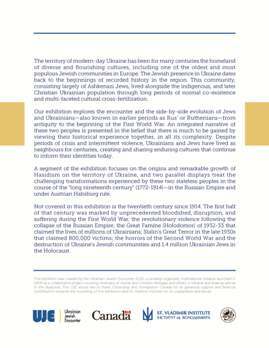 The exhibition explores the 2,000-year presence of Jews on Ukrainian lands alongside the historical experience of Ukrainians, through long periods of co-existence, interaction, and multi-faceted cultural cross-fertilization.